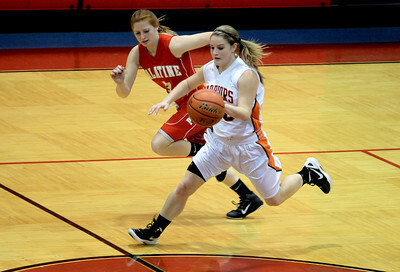 McHenry played Palatine during Wednesday's game at Dundee High School on November 14, 2012. 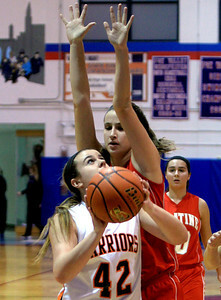 Sarah Nader - snader@shawmedia.com Palatine's Bridget Ryan guards McHenry's Alissa Rosga as she brings the ball down court during the first quarter of Wednesday's game against Palatine at Dundee-Crown High School in Carpentersville on November 14, 2012. 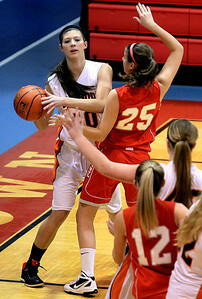 Sarah Nader - snader@shawmedia.com McHenry's Alissa Rosga passes the ball during the first quarter of Wednesday's game against Palatine at Dundee-Crown High School in Carpentersville on November 14, 2012. 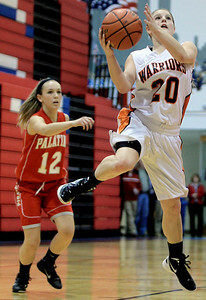 Sarah Nader - snader@shawmedia.com McHenry's Alissa Rosga takes a shot during the second quarter of Wednesday's game against Palatine at Dundee-Crown High School in Carpentersville on November 14, 2012. 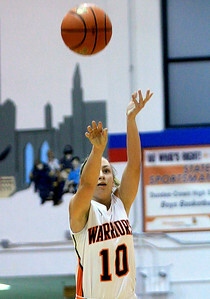 Sarah Nader - snader@shawmedia.com McHenry's Laura D'Angelo takes a shot during the second quarter of Wednesday's game at Dundee-Crown High School in Carpentersville on November 14, 2012. 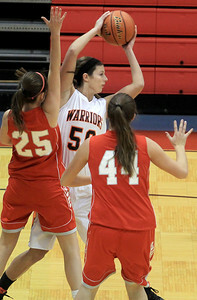 Sarah Nader - snader@shawmedia.com McHenry's McKayla Snedeker (left) takes a shot during the second quarter of Wednesday's game at Dundee-Crown High School in Carpentersville on November 14, 2012. 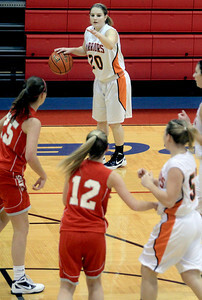 Sarah Nader - snader@shawmedia.com McHenry's Brittany Avonts (center) looks for an open player during the first quarter of Wednesday's game against Palatine at Dundee-Crown High School in Carpentersville on November 14, 2012. 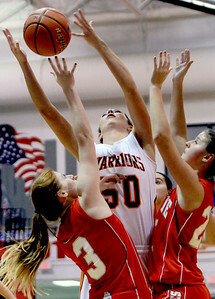 Sarah Nader - snader@shawmedia.com McHenry's Brittany Avonts (center) jumps for the rebound during the second quarter of Wednesday's game against Palatine at Dundee-Crown High School in Carpentersville on November 14, 2012. 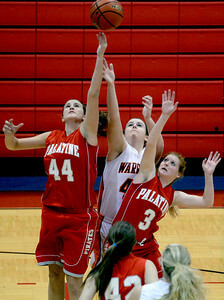 Sarah Nader - snader@shawmedia.com McHenry's McKayla Snedeker (center) and Palatine's Anna Wozniak (left) and Bridget Ryan jump for the rebound during the first quarter of Wednesday's game at Dundee-Crown High School in Carpentersville on November 14, 2012. 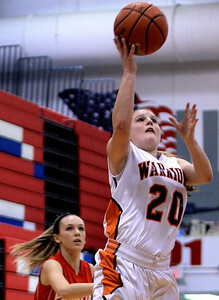 McHenry's Laura D'Angelo takes a shot during the second quarter of Wednesday's game at Dundee-Crown High School in Carpentersville on November 14, 2012.